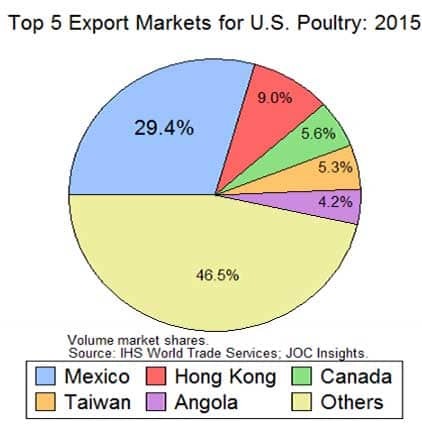 US poultry exports tumbled 13.0 percent in 2015 for a total volume of 3.5 million metric tons as China, South Korea, Angola, and other major markets banned all poultry imports from the US since the beginning of 2015, following a multistate outbreak of highly pathogenic avian influenza. 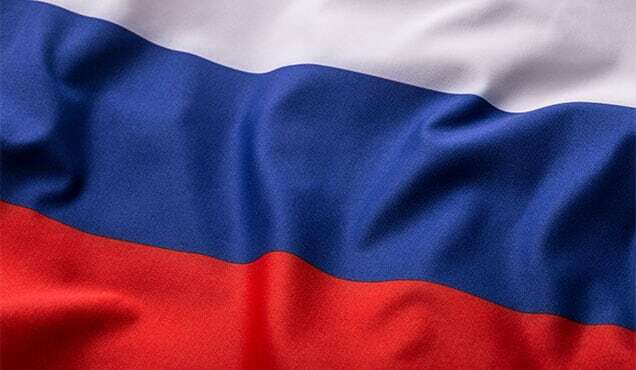 Meanwhile, the Russian market continues to be closed for all US poultry since August 2014, a retaliation response to sanctions over Russia's annexation of Crimea. 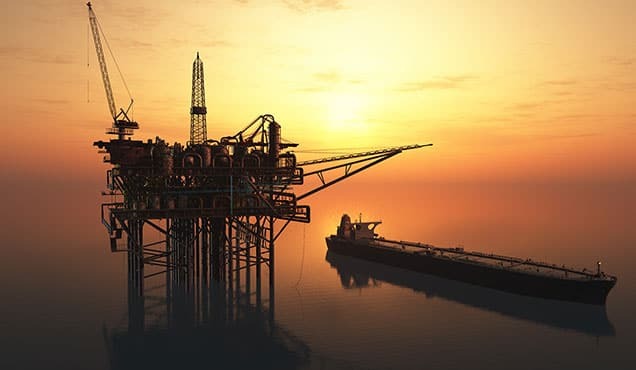 Market conditions have been very tough last year, not only because of the import bans in major markets but also the US dollar strength. Looking forward, a modest rebound of 3.1 percent is expected for 2016, partly thanks to an easy year-over-year comparison base. 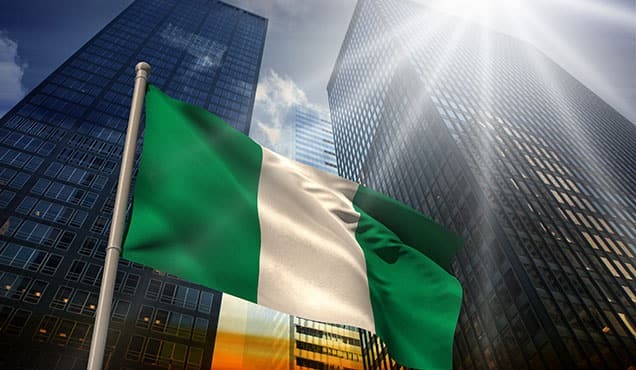 Moreover, the dollar strength has eased, and top buyer Mexico recently lifted its ban for US poultry products from all US states except the state of Indiana. Also, South Africa ended its import ban on US poultry early this year. Among the major export markets, China subtracted most from trade growth during 2015, approximately 5.5 percentage points. 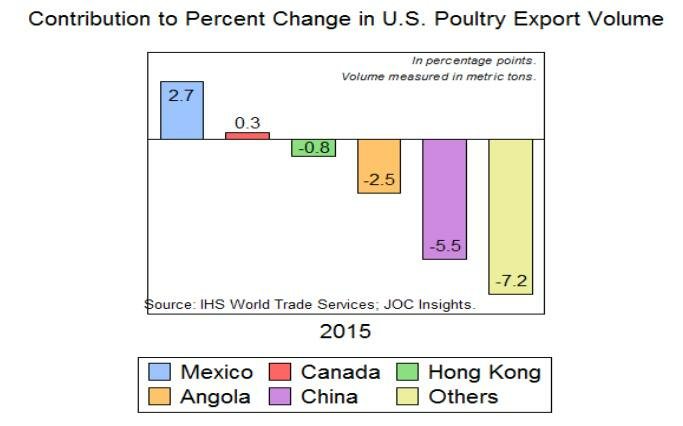 Meanwhile, Angola, which has become an important market for US poultry exporters, subtracted 2.5 percentage points from growth. On the upside, we found Mexico and Canada each adding 2.7 and 0.3 percentage points to export growth in 2015, respectively, as their import restriction was imposed mostly on the affected producing states. 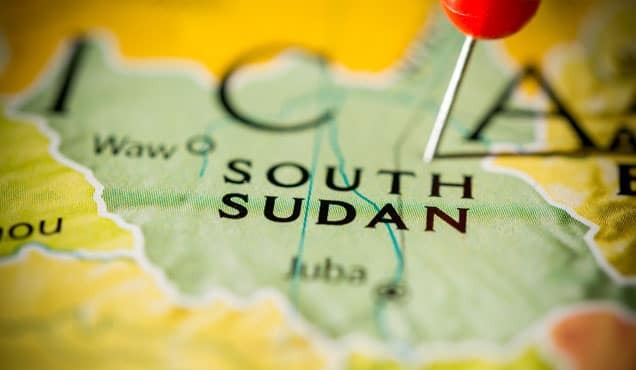 There is no country that holds more than half of the market, not even one-third of the market, which reveals how well diversified the poultry export trade is. However, the data highlight great volatility within the export markets, particularly in recent years. 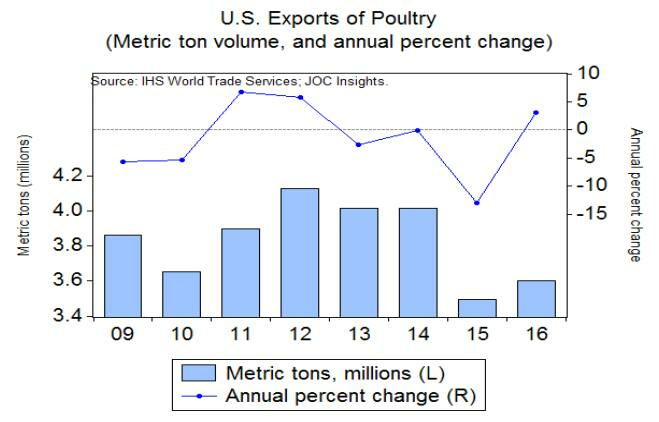 Between 2006 and 2009, China was the biggest export market for US poultry as measured by metric ton volume, but Mexico regained that spot in 2010. 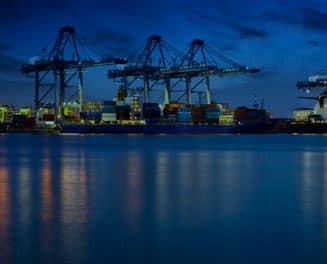 In 2015, Mexico held almost 30 percent of the market, while China's market share went down to zero due to the import ban, from almost 6 percent the year before. Therefore, China did not show up in the top 5 export markets ranking chart in 2015, as it did in 2014. 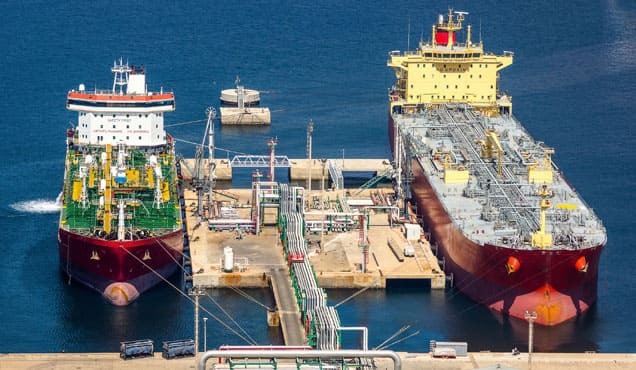 China overall imports of poultry fell 41 percent in 2015 as China was able to increase domestic production of poultry meat, and relied upon suppliers other than the US such as Brazil and the European Union. 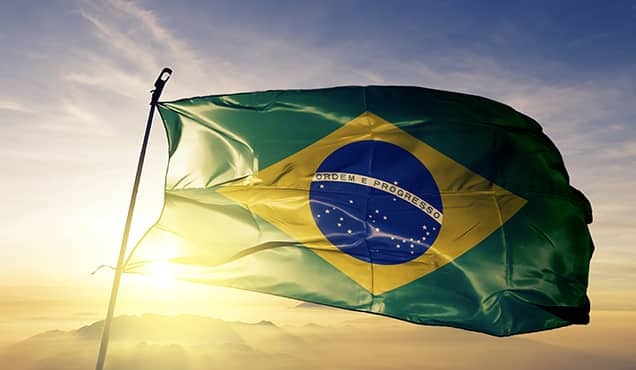 According to data from IHS World Trade Services, China imported 4.0 percent more poultry volume from Brazil in 2015, and 6.5 percent more poultry volume from the European Union in the same year. 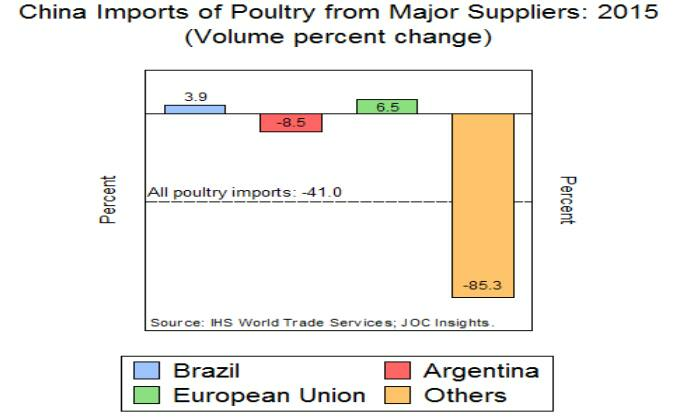 It appears that Brazil and the European Union somewhat benefited from the imports ban on US poultry.